President Barak Obama has nominated Dr. Jane Chu to lead the National Endowment for the Arts (NEA). 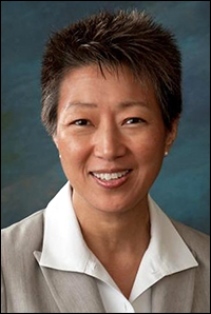 Chu is President and CEO of the Kauffman Center for the Performing Arts in Kansas City, Missouri, a position she has held since 2006. She was a Fund Executive at the Kauffman Fund for Kansas City from 2004 to 2006 and Vice President of External Relations for Union Station Kansas City from 2002 to 2004. She was Vice President of Community Investment for the Greater Kansas City Community Foundation from 1997 to 2002. Chu is a Trustee at William Jewell College and serves on the Board of Directors of the Ewing Marion Kauffman School and the Greater Kansas City Chamber of Commerce. Kansas City’s Nonprofit Connect recently announced her as their Nonprofit Professional of the Year. Chu received an AA in Visual Arts from Nebraska Wesleyan University, a BM in Piano Performance and a BMEd in Music Education from Ouachita Baptist University, an MA in Piano Pedagogy from Southern Methodist University, an MBA from Rockhurst University, and a PhD in Philanthropic Studies from Indiana University.